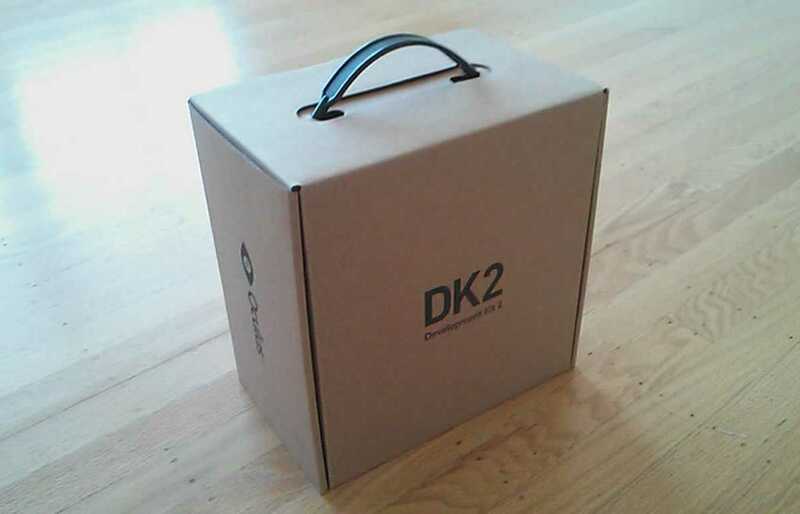 After a slight SNAFU with the UPS over the delivery I finally have received my Oculus Rift Developer Kit 2! As this is one of the most intriguing, exclusive and amazing tech toys of this year, I was amazingly excited to finally have it in my grasp. Now, if only I could turn it on. I have an Oculus Rift but lack a computer capable of running it. being still in the process of moving to the Emerald City, my computer has not yet arrived. I have my old school laptop, but after years of uses and having its cooling fan replace three or four times it can hardly handle rendering Netflix, it wouldn’t survive an interactive 3D demo. So I am the very proud owner of the worst pair of ski goggles ever created. But I wasn’t going to just sit and wait for my new nemesis, UPS, to deliver my computer. With some help from a friend at work, who is still waiting for their pre-order to ship, the Oculus Rift was giving life! We tried out a few demos including Desk Simulator, an immersive desk simulator where one gets to sit at desk in an empty room; Cyber Space, a simulation of a carnival pendulum ride with the added bonus of being flung from the ride at the end; and Helix, a recreation of a real roller coaster at some amusement park. I was most impressed with Cyber Space, of the three demos we tried that gave my the most gut wrenching feeling of presence. Though the pixels of the display are visible creating a ‘screen door effect’ its not horribly distracting, but it is still present enough that it take awhile tog et used to you field of vision being filled with dots. I think that the depth perception in Cyber Space is what makes it terrifying. The area around you has been filled with houses that are 3D geometry that you eyes can focus on as you swing higher and higher, Helix might have been as enjoyable, but on the computer we were running it on the frame rate was noticeably low. A jittery frame rate really tears one out of the experience. I don’t think we had the V-Sync in the proper configuration to force needed 75 fps needed for the low persistence display technology to be utilized. Another thing to note is that all the demos I’ve tried so far are passive experiences, the play only has the ability to look around and observe the virtual environment, not to interact with it. I have a few games that either have or sill soon have support for the DK2 lined up. I feel that adding interactivity will make presence in the Oculus Rift more easily reachable. My experience with my Rift so far has been brief, but one I have my machine up and running I will be putting the new technology through its paces and maybe even try my hand at making a demo. After all it is a development kit.